What Plugs are Available on EV Charging Stations? What Different Plug Types are Available on EV Charging Stations? There’s no standard when it comes to 240V plugs, so ClipperCreek offers a wide variety of plugs with our charging stations to fit your needs. In fact, some homes already have a 240V receptacle and you can order the plug that matches what you already have! This will make the installation cost virtually $0 as you would only have to mount the station and plug-in. 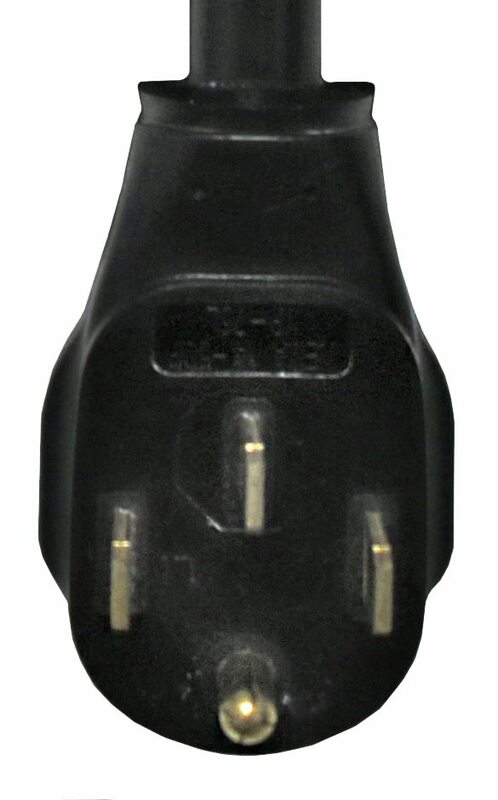 If you have a 240V receptacle, but are unsure if ClipperCreek carries the matching plug type, please call us at (877) 694-4194 or email us at information@clippercreek.net. Our customer service team can help you determine what type of receptacle you have and which electric car charging stations would be appropriate. Below, we’ve listed our plug in stations with photos of the plugs and diagrams of the matching receptacle for your reference. Again, call or email our customer service team if you have any questions. 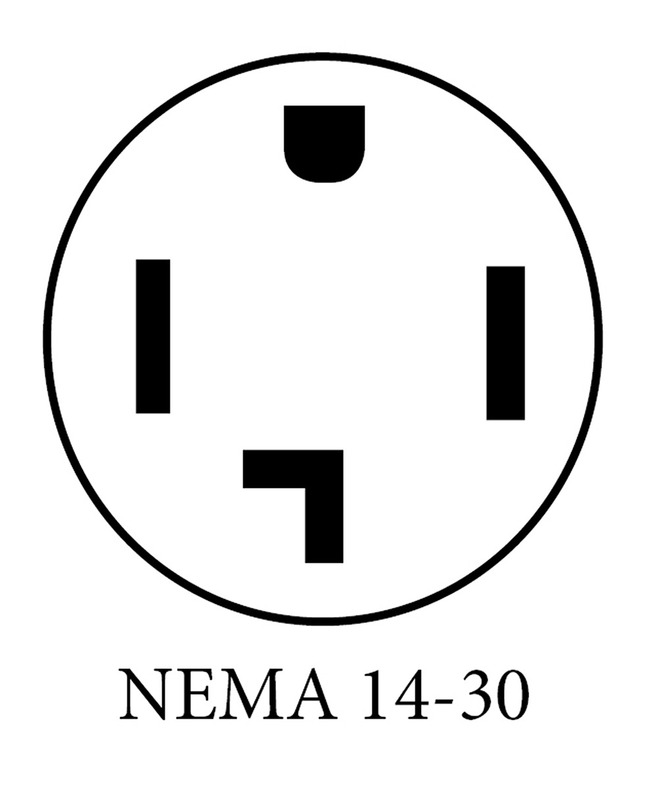 NEMA 14-30 (30A plug). This is commonly used for electric dryers. It’s installed onto a dedicated 30A circuit to match the rating of the plug. 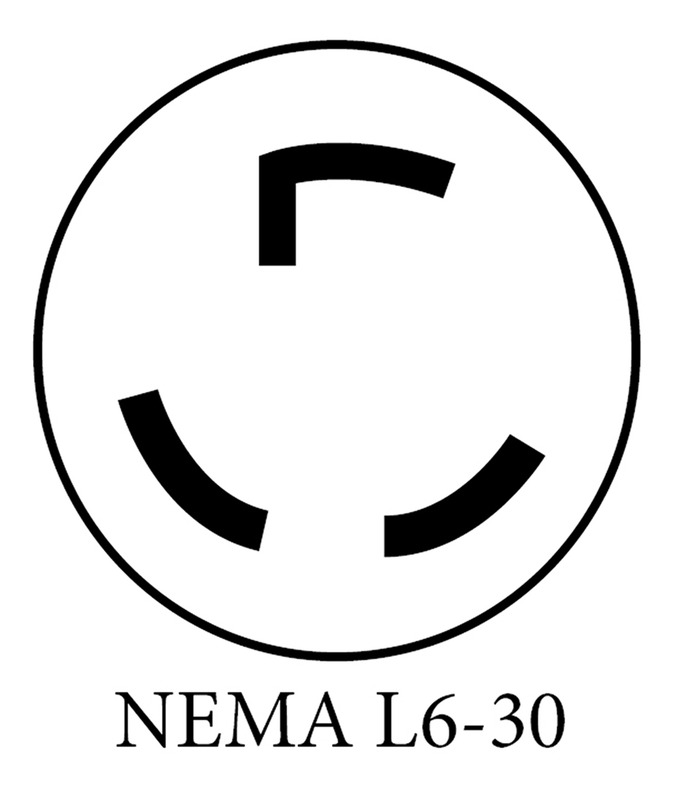 NEMA L6-30 (30A plug). This is common for welders or plasma cutters. It’s installed onto a dedicated 30A circuit to match the rating of the plug. 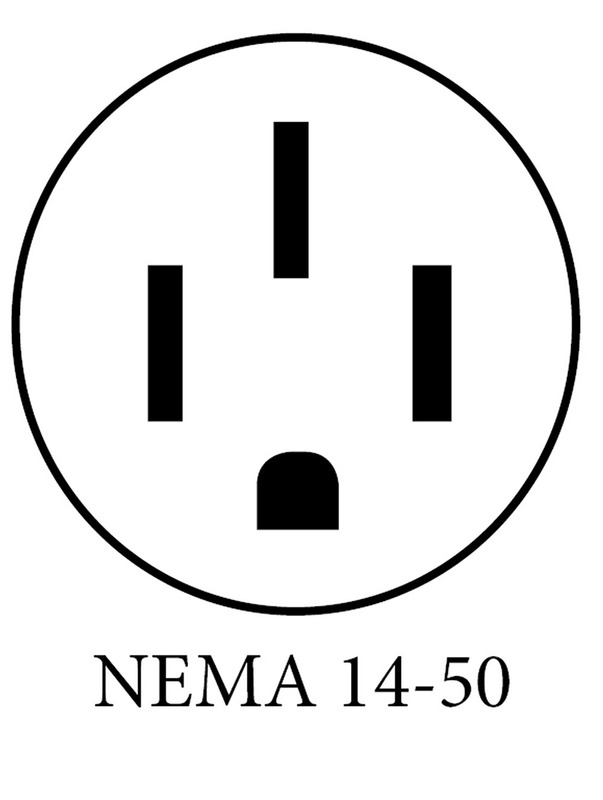 NEMA 14-50 (50A plug). This is commonly used for electric ovens and is often found in RV parks and campgrounds. It’s installed onto a dedicated 50A circuit to match the rating of the plug. 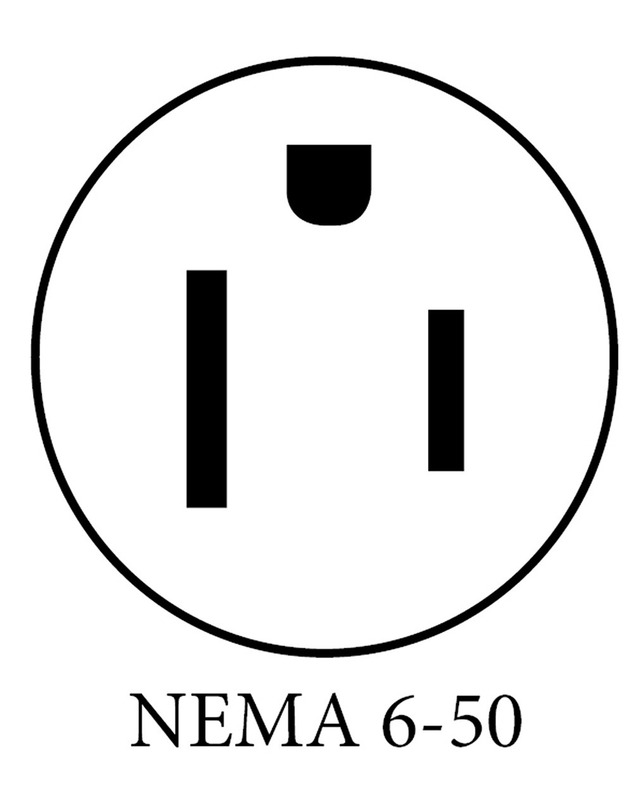 NEMA 6-50 (50A plug). This is common for welders or plasma cutters. It’s installed onto a dedicated 50A circuit to match the rating of the plug. 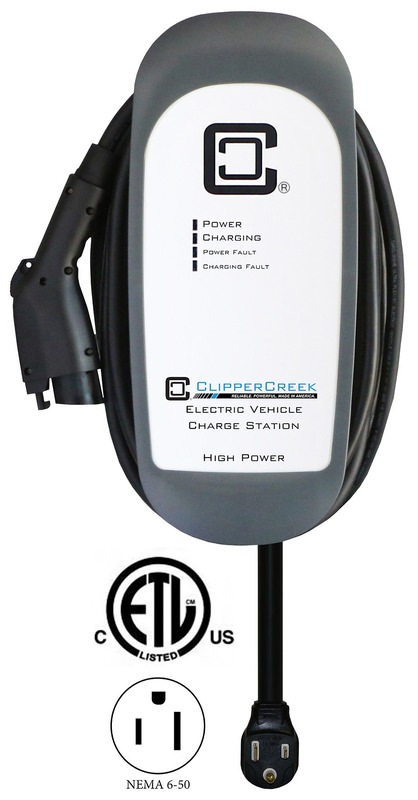 The ClipperCreek’s popular HCS-40P 32 Amp and HCS-50 40 Amp plug-in electric vehicle charging station are available with the two NEMA plugs shown below. Please note that the NEMA 14-30 and NEMA L6-30 are not offered with the HCS-40P or HCS-50P because the HCS-40P can deliver up to 32A and the HCS-50P can deliver 40 Amps, while the NEMA 14-30 and NEMA L6-30 plugs are rated for up to 30A only. 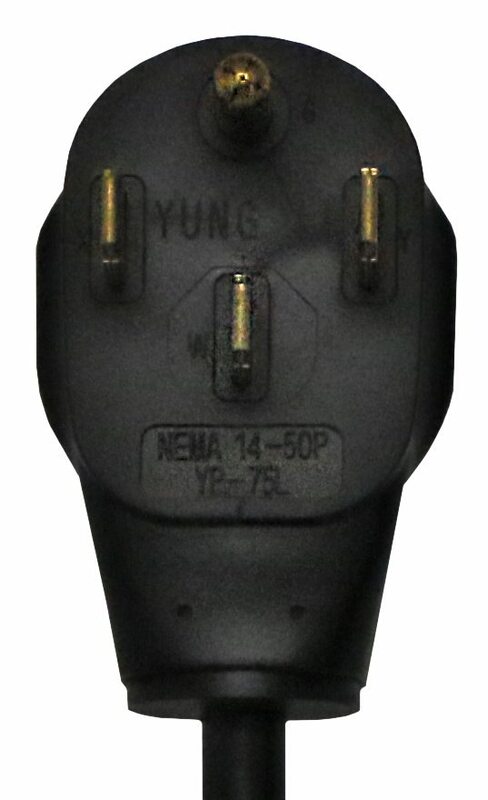 NEMA 14-50 (50A plug). This is common for electric ovens and is often found in RV parks and campgrounds. It’s installed onto a dedicated 50A circuit to match the rating of the plug. The above stations come in hardwired models as well. Please see the ClipperCreek store for more details. Again, for any questions about how to choose the proper plug-in charging station for your electric vehicle call or email our customer service team and we’d be happy to help you. They can be reached seven days a week! Monday – Friday from 8am – 5pm PT by phone: (877) 694-4194 and email: information@clippercreek.net. Hi – I want to know if all Clipper Creek charging stations work with Tesla’s? There is a CC station in a small town we are going to and would like to be able to charge there. Thank you. Hello LB! Great question! Yes, all ClipperCreek charging stations are compatible with all Tesla vehicles. The Tesla vehicles use a proprietary connector so you will have to use the adapter that comes with your vehicle as our charging stations utilize the standard SAE J1772 connector. Please let us know if you have any other questions. Thanks for this Suzanne! This is so useful as it gives me insight. Also it is very informative and a well-thought article indeed. Love to see more of your posts soon! Kudos! IS there any advantage to the 14-50 vs 6-50 if you have a choice? I am having an electrician run the new circuit so I have a choice at this point? 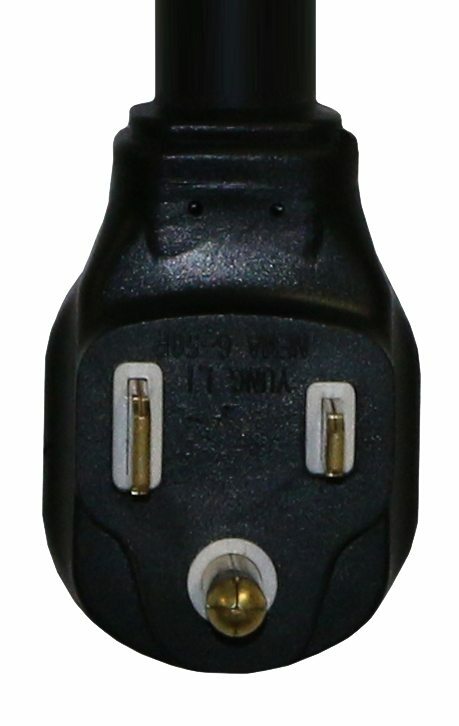 There is no functionality difference, however the 6-50 outlet may be slightly less expensive to install as it only requires 3 wires, Line 1, Line 2 and Ground. The 14-50 outlet required 4 wires. I’m installing a receptacle for the HCS-40P. I assume the charger only requires 3 wires: L1, L2, and ground. Why is the 4th pin present on the plug and what if anything needs to be connected to it? P.S.- my breaker box has neutral and ground combined, they are not separated. Hi James, thanks for asking! We always recommend that the outlet that is being used is installed to code. The NEMA 14-50 has L1, L2, Neutral and Ground. Our charging station does not use the neutral wire, but there is a possibility of plugging in another appliance that may use the neutral so it is best if the outlet is installed correctly. We would recommend that the electrician be consulted before the installation of the outlet to ensure that the installation meets all local electrical code requirements. 14-50 Receptacles include the neutral allowing appliances (Or RVs) to be hooked up that need both 240V (both hot wires) and 120V (one hot and neutral wire). EV Chargers don’t generally need 120V so the neutral would not be used but it doesn’t hurt anything to have it and if you want more flexibility in the future use the 14-50 with both hots, the neutral and the ground attached. Having Neutral bonded to Ground in your main panel is common but you still need to run all 4 wires to the receptacle. the 6-50 receptacle is typically used with welders which don’t have any need for 120V power so might be a better choice if you ever intend to weld in your garage. It does not use a Neutral just two hot wires and a ground. Hi Watson, You are correct that our EV chargers do not require the neutral wire. 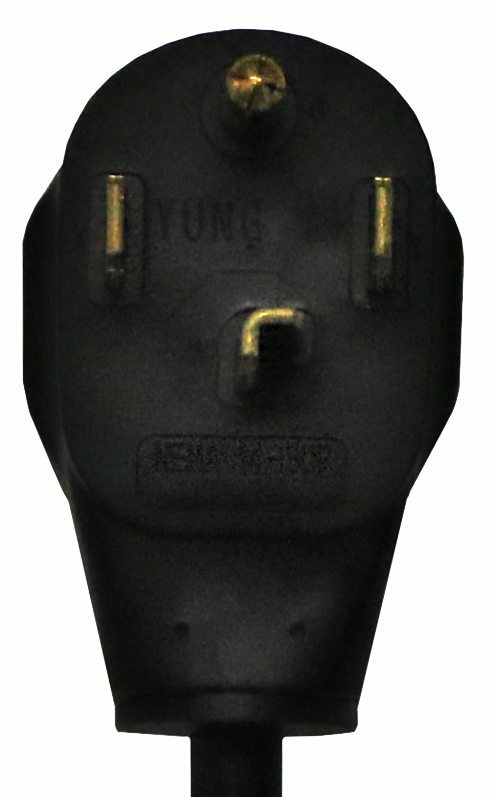 While the NEMA 14-50 plug does have a neutral prong there is no neutral wire connected from inside the unit to the prong. 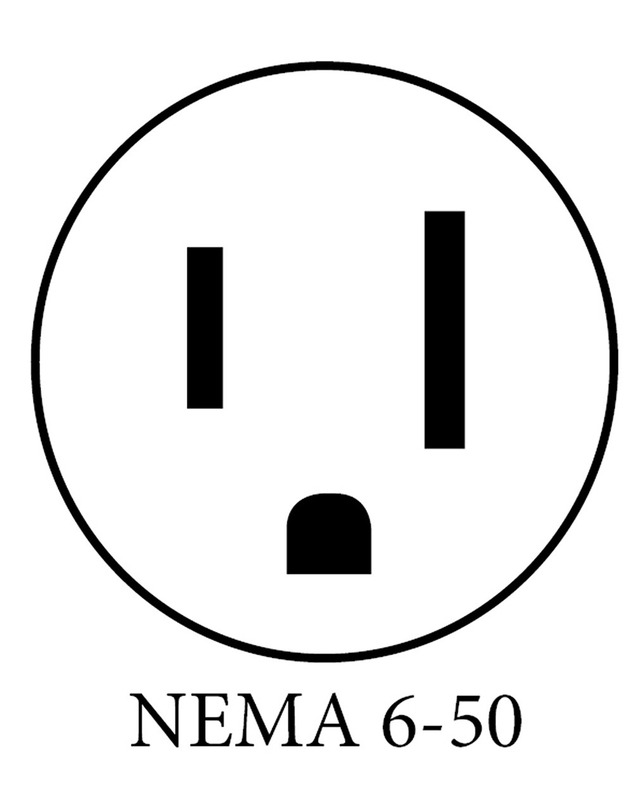 When installing a NEMA 14-50 outlet the neutral wire may still be required per National Electric Code. We always recommend consulting with a licensed electrician. 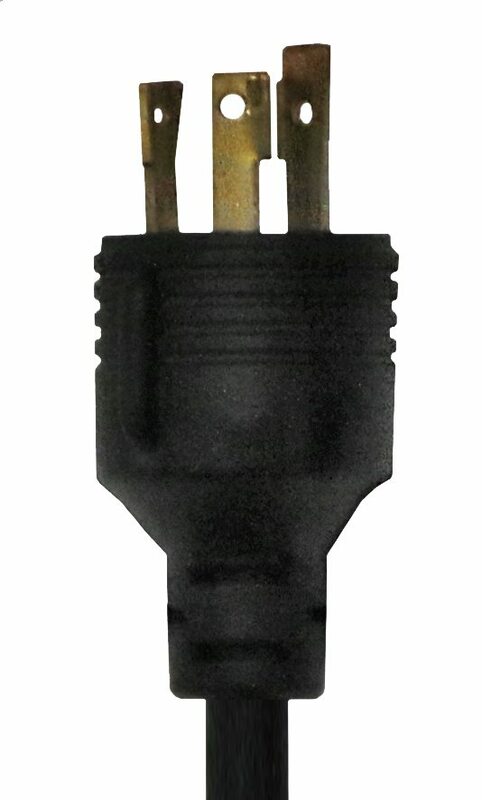 The NEMA 14-50 plug is the most popular choice among customers as it is common for electric ovens and is used for RV shore power. 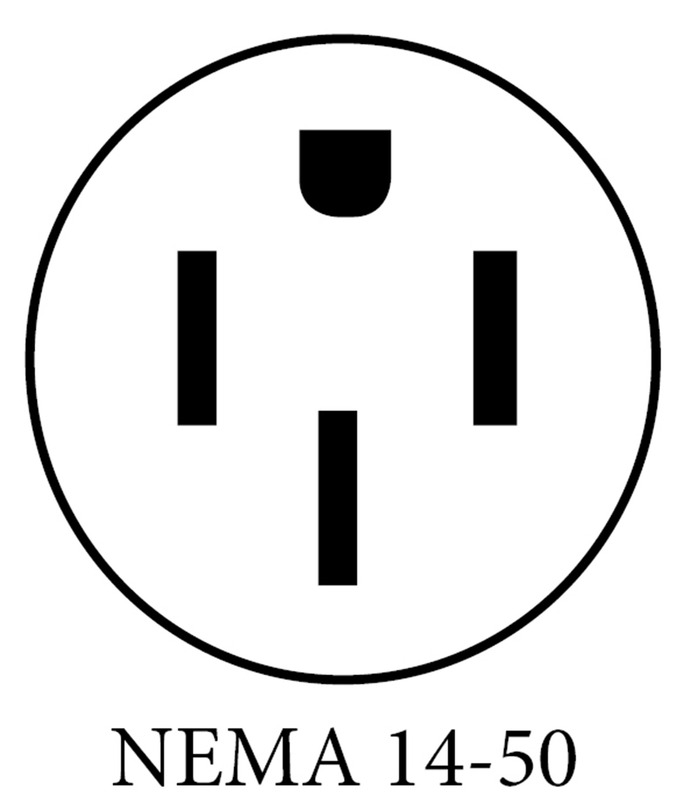 The NEMA 14-50 outlet can often be found at RV parks and campgrounds which some drivers will use to charge up while on road trips. 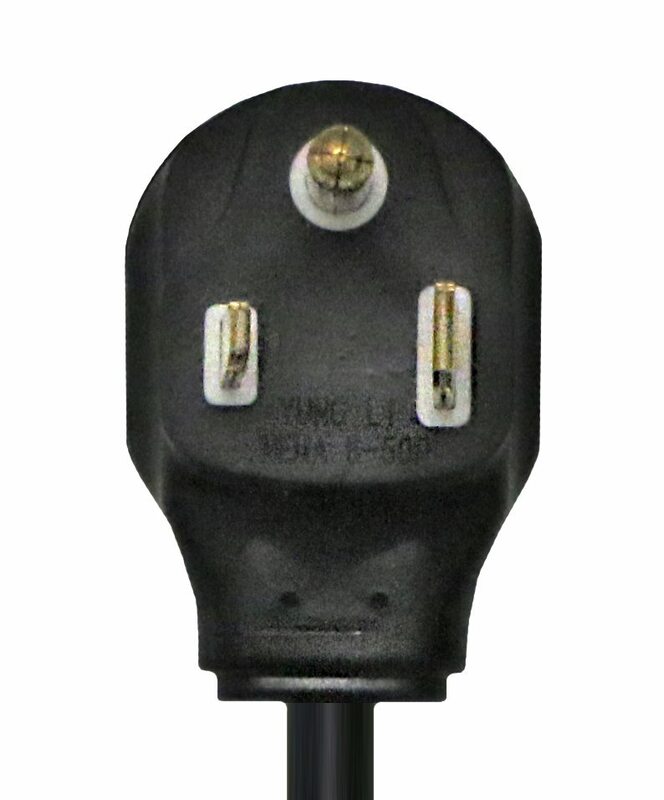 The NEMA 6-50 plug does not have a neutral prong and only uses line 1, line 2, and ground. As you mentioned it is common for welders and can also be used for other high power tools. If you ever have any questions please do not hesitate to contact us. Thank you for your suggestion! 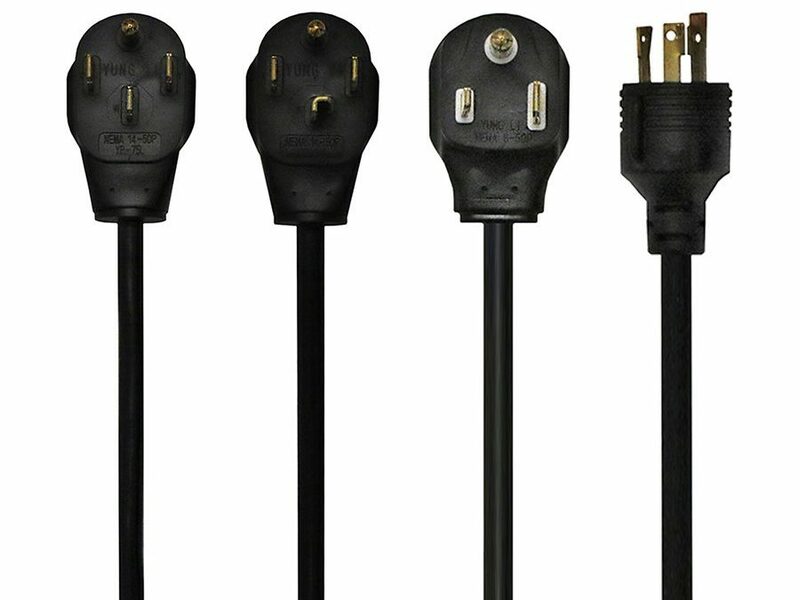 We just updated the post with photos of the various plugs as well as diagrams. If you have any questions, please email us at information@clippercreek.net or call us at (877) 694-4194.